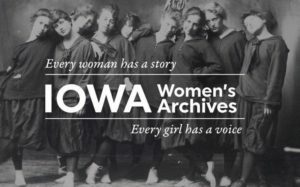 Iowa Public Radio’s weekly Talk of Iowa program took a look back in time at six-on-six girl’s basketball in Iowa this week and featured a few members of the Six-On-Six: The Musical production team as part of the show. The full episode includes a detailed look at the game, its end, and its lasting impact. Beginning at around the 31-minute mark, show host Charity Nebbe interviews Six-On-Six: The Musical writer Robert John Ford and direct Alison Shafer, who happened to play six-on-six herself. Listen to the full program on the Iowa Public Radio website. Six-On-Six: The Musical run August 3rd through the 12th at Staplin Performing Arts Center. The musical celebrates the rich tradition of six-on-six girls’ high school basketball in Iowa – its glorious history, unique rules, phenomenal popularity, colorful personalities, and the Title IX legal controversy that ultimately resulted in the game’s demise 25 years ago. For more information, visit our show information page.